Tuesday’s Republican response to the President’s State of the Union Address was proof positive that today’s Republican Party is in purgatory. Yes, I said it. The party of Lincoln and Douglass is in a place that may, or may not be, temporary punishment for its sins. Escape from purgatory will depend largely on who the party looks to as its messiah. Today’s Republican Party is overwhelmingly white and male. By most metrics, the party is antagonistic to issues of consequence to African Americans, women, Hispanics and the lesbian, gay, bisexual and transgender community. If you believe in women’s rights, civil rights, voting rights, conservationism, the science of climate change, or comprehensive immigration reform with a meaningful pathway to citizenship, there’s no room for you in today’s party. If you are labeled a “moderate,” or if you reach across the aisle and work on a bi-partisan basis for the good of the nation, there’s no room for you in today’s party. The trouncing that the Republican Party took in the last presidential election made it clear that this is a party out of touch with the needs of an increasingly diverse, vocal and activist body politic. This spells disaster for our democracy. We need a meaningful two-party system for our nation’s promise to be realized. Conventional wisdom says the person who will rescue the Republican Party will be Marco Rubio, who on Tuesday evening gave — in English and Spanish — the GOP’s response to the President’s State of the Union address. Rubio appears on the cover of the February 18 issue of Time Magazine, which declares him “The Republican Savior.” In April 2012, Time named him one of the world’s 100 most influential people. However, the moment that the clumsy and nervous Mr. Rubio took to gulp a sip of water last night may very well be symbolic of the pause the party needs to take to reassess its future. As the Republican Party attempts to make amends for recent history and become a party that reflects America as it is today, one must ask, why focus solely on Rubio and the white male GOP Powers the punditocracy seems most inclined to banter about. Those names include former Florida governor Jeb Bush, New Jersey Gov. Chris Christie, Louisiana Gov. Bobby Jindal, Rep. Paul Ryan (R-Wis.) and Rep. Rand Paul (R-Ky.) – who, coincidentally, delivered the Tea Party’s response to Obama’s State of the Union address. Some of these men are appealing. However, one must ask, with a gender gap as large as Mount Rushmore, why so little mention of what the right woman can bring to the table? The Republican party of yesteryear abolished slavery. That same Republican Party expanded affirmative action through the “Philadelphia Plan.” The party sent the 101st Airborne to Little Rock, Arkansas to enforce federal court orders to desegregate public schools. A Republican president appointed Earl Warren to the U.S. Supreme Court (Warren wrote the Supreme Court’s decision in Brown v. Board of Education), and signed into law the Civil Rights Acts of 1957 and 1960, legal tools guaranteeing all Americans the right to vote. The Republican Party established the Environmental Protection Agency, and passed the 1986 Immigration Reform and Control Act, granting legal status to approximately 3 million undocumented immigrants. In a Feb. 10 article in the New Republic, Sam Tanenhaus argues that conservative intellectuals who supported the early civil rights movement changed their position after the federal government got involved by sending troops to assist the Little Rock Nine in their efforts to desegregate Arkansas schools. In these conservatives’ view, the government had no legitimate role in civil rights (which is how white Southerners saw it). Tanenhaus argues that after these instances of federal intervention, “Conservatism and eventually the Republican Party adopted [John C.] Calhoun’s approach to democracy, which said: An outnumbered minority, if it feels its interest is threatened, can nullify actions by the federal government. And this — in my interpretation — is what set the Republican Party on the course it’s still on today.” In other words, today’s Republican Party is the party of white people. In 2008 and 2012 women voted overwhelmingly for candidate Obama, a Democrat who campaigned on the economy and jobs, reproductive rights, women’s rights and foreign policy. Republican women poised for this monumental task include women like Lisa Graham Keegan, New Mexico Governor Susana Martinez, former Secretary of State Condoleezza Rice and Senator Lisa Murkowski (R-AK). Keegan, whom I know personally, may not yet be a household name, but she is well suited for this mission impossible. She believes that Zip Code should not determine one’s destiny. She believes that the American dream should belong to all Americans, regardless of class, race, gender, ethnicity, or religious background. She understands that equal access to an excellent education is the key to preparing American workers for a 21st century economy. She understands the contributions that immigrants make to our economy and the greatness of America. An education reform advocate, she founded Education Breakthrough Network and is an advisor to National School Choice Week. She is a former Arizona Superintendent of Public Instruction, and she worked as a senior policy advisor on education to Senator John McCain’s presidential campaigns in 2000 and 2008. She served two terms in the Arizona House of Representatives. Keegan was an education advisor to then candidate George W. Bush and was one of two candidates interviewed by then President-elect George W. Bush to be Secretary of Education. Keegan believes in smart government. In a 2000 article in City Journal, she provided a modern, conservative woman’s view on the proper role of the government in public education (which easily translates to the proper role of the federal government in most matters). Her view stands in stark contrast to the typical Republican perception of government’s place in the lives of millions of Americans, a platform that led the party to where it is today: largely male, white and out of touch. 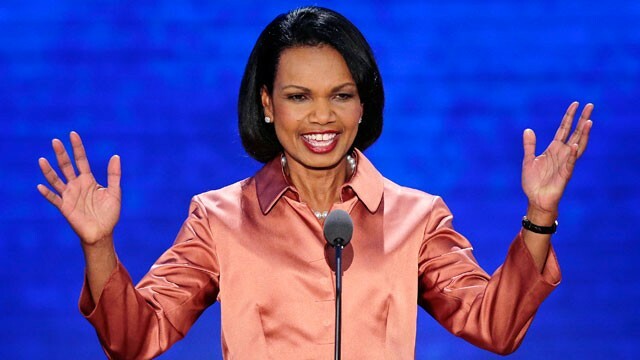 Is it not possible that it is a woman like Lisa Graham Keegan, New Mexico Governor Susana Martinzez, former Secretary of State Condoleezza Rice, or Senator Lisa Murkowski (R-AK) will be the savior of the Republican Party rather than another round of white men? Michelle D. Bernard is the president & CEO of the Bernard Center for Women, Politics & Public Policy. Follow her on twitter @michellebernard.